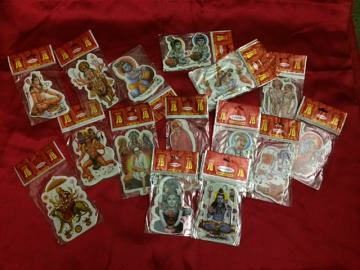 Religious Hindu god stickers / decals. These are washable stickers / decals - visible from both sides. Just peel and place on car windows, dashboard or in your home. Approximate measurement between 2" to 2.5" in width and 3.5" to 4" in height. Please mention above which sticker would you like. You can also buy a pack of 10 assorted stickers or a pack of 10 same decals at a lower price. Buy pack of 10 @ $7.99. That is 20% saving on individual sticker. Buy Hindu God Religious Washable Stickers Decals, sold & shipped by Yaadein where you can shop online for Pooja Samagri, Hindu Statues, Puja Items, Religious Gifts & Home Decor. 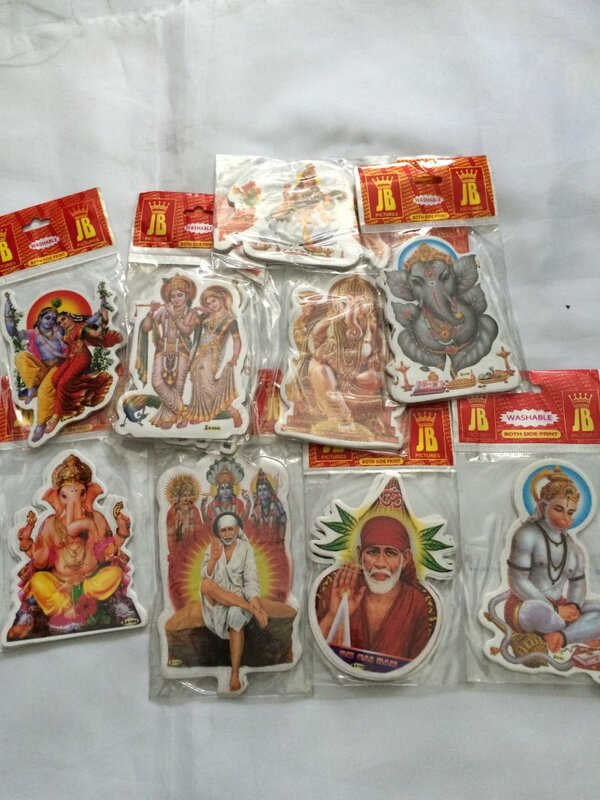 This Religious Stickers collection has been tagged as Car Decoration, Spirituality, Religious Return Gift, Hindu God Stickers.